Elasea are beginning to make their mark on the scene with a sound that flaunts hefty riffs and engaging hooks. 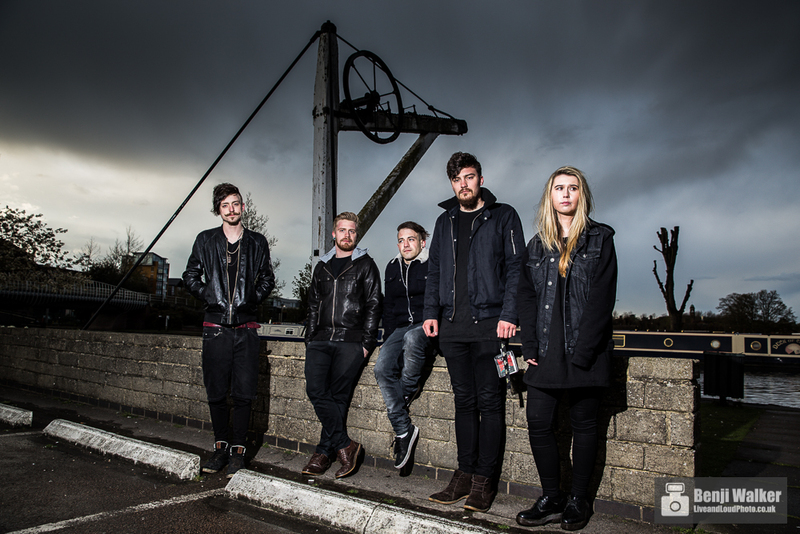 The band release their brand new EP, Lesson Learnt, on Friday 17th March and we had a chat about their history and plans for 2017…..
Andy Bradford – Rhythm Guitar & Vocals; Liv Jones – Bass & Vocals; Calum Radmore – Lead Guitar; Ashley Haskell – Drums; Braydie Haskell – Keys, Synth & Samples. I think after the final addition of our keys player (Braydie) the band felt complete. We have come such a long way with our music and I feel like now we are a lot more mature when it comes down to writing new songs. We’re all best friends, we spend a lot of time together and we all have the same ambitions which makes everything so much easier. We have a wide variety of influences as all of us listen to different artists. Bring Me The Horizon, You Me At Six, Lower Than Atlantis to name a few. Andy, Liv and Calum have been playing together for a number of years. Ash joined the band around October time last year and Braydie joined around February time. We all knew each other through mutual friends before being in a band together. We have pretty much played all around the UK. We are yet to do a full tour but have done multiple weekenders taking us to cities like Edinburgh, Swansea, London etc. We were lucky enough to play a support slot for Funeral for A Friend at O2 Academy, Oxford which was an incredible experience! We’ve also played with bands such as AllUsOnDrugs, Veridian and Echoic. When writing, we don’t put ourselves into a box or a genre. We have heavier tunes and we have much lighter tracks. We’re willing to try things outside of the comfort zone. We are in the process of organising a little something for March 2017! Our diaries are already filling up for next year. You’ll have to keep an eye out on our social media for specific dates. We have a run of shows booked with Sertraline in Feb 2017 but this hasn’t been announced yet.